HIROSHIMA – Kazakh President Nursultan Nazarbayev has been awarded the title of special honorary citizen of Hiroshima. Nazarbayev, who visited the city as part of his visit to Japan on Nov. 9, thanked the Hiroshima authorities and public for granting him this title and highlighted that it is a sign of solidarity between Kazakhstan and Japan in the anti-nuclear movement. “Being here in Hiroshima, which experienced the horrible consequences of the atomic bombing, I urge world leaders to renounce nuclear testing in order to prevent another nuclear tragedy,” stressed Nazarbayev, who also noted the damage to Kazakhstan’s land caused by the nuclear testing done at the Soviet Union’s Semipalatinsk test site over four decades. He visited Hiroshima to pay tribute to the tens of thousands of mostly civilian victims of the two atomic bombs dropped on Japan by the United States during World War II in 1945. “Visiting the Memorial Peace Park of Hiroshima once again reinforced my belief in the importance we place on the field of nuclear disarmament and nonproliferation initiatives,” said Nazarbayev. “The song ‘Zaman-ai,’ sung today by young Hiroshima residents, is a symbol of our nations’ spiritual closeness in an effort to rid the world of the nuclear evil,” he added. Nazarbayev also noted that he had earlier reached an agreement with Prime Minister Shinzo Abe regarding the joint efforts of Kazakhstan and Japan in building a world free of the threat of weapons of mass destruction. 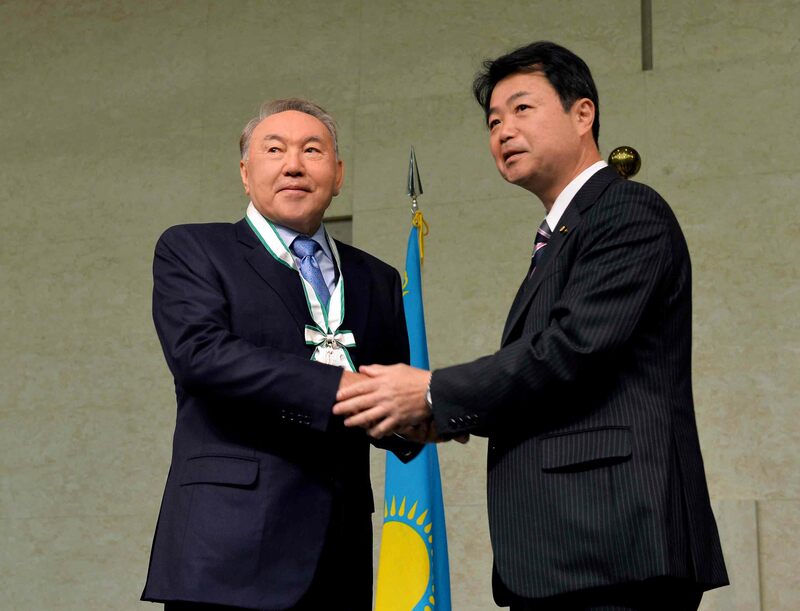 On behalf of all the residents of the city, Mayor of Hiroshima Kazumi Matsui thanked Nazarbayev for his visit and praised him for his leading role in building a nuclear weapons-free world. “On Aug. 29, 1991, you closed the Semipalatinsk nuclear test site, based on the wishes of the people of Kazakhstan. 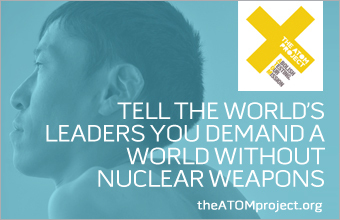 You took the initiative to create a nuclear weapons-free zone in Central Asia and to announce Aug. 29 as International Day against Nuclear Tests. You play a leading role in building a world without nuclear weapons,” Matsui said. Before his flight to South Korea for the second leg of his trip to East Asia, Nazarbayev took part in a press briefing dedicated to his fourth official visit to Japan. “I believe that as a result of the visit, we have achieved all the goals we set for ourselves. A joint statement ‘On the special strategic partnership between Kazakhstan and Japan in the age of Asia’s prosperity’ defines our relations as strategic, in-depth and trusted,” emphasised Nazarbayev. The President noted the importance of Japanese companies’ involvement in Kazakhstan’s business projects, pointing out the agreement in developing small and medium-sized businesses as well as the interest of Japanese entrepreneurs in agriculture. “I hope that Japanese companies will come to us. During a meeting with captains of Japanese business, they expressed their interest in Kazakhstan. Members of our delegation informed our Japanese colleagues about the business climate in our country. Today the crisis is everywhere and countries are trying to save their money. However, notwithstanding all these factors, the respect for our country that they showed during this trip is a good sign,” said the President. He also noted that the anti-nuclear weapons theme has a special place in relations between the two countries. “The consolidation of the forces of Kazakhstan and Japan and our joint initiatives are very important. The manifesto ‘The World. The 21st Century’ is designed to put an end to weapons of mass destruction,” concluded Nazarbayev.